Could someone explain the concept of charge points, especially how they can help improve a weapon? 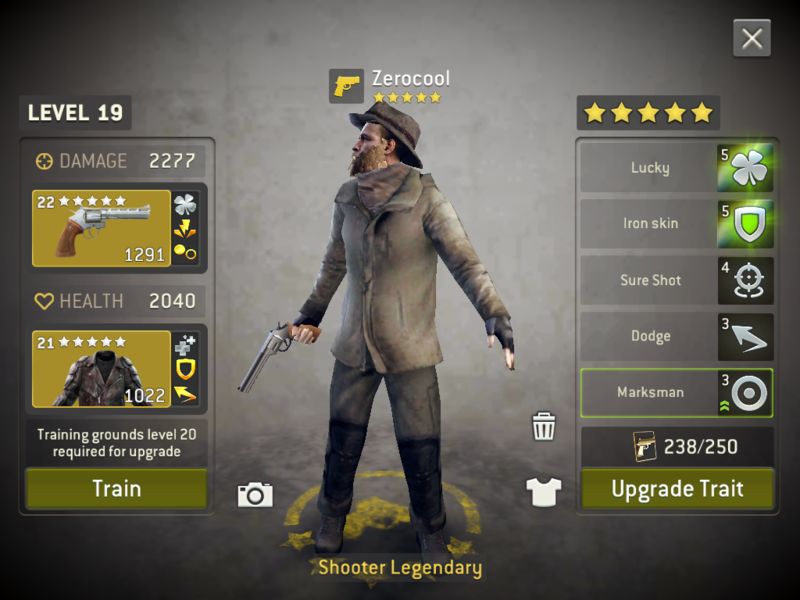 Nice survivor and set-up. Would be close to perfect if he had bullet dodge imo. 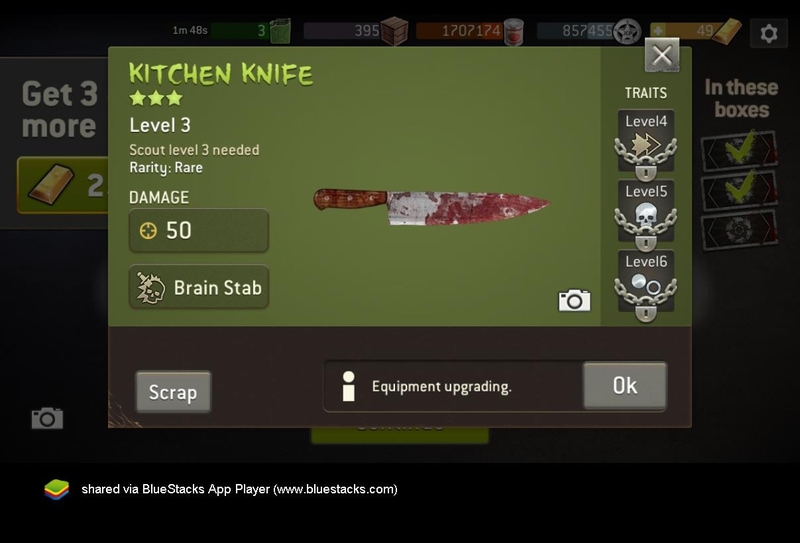 I think if it was base level 19/20, legendary and had gold luck instead of deadly and the other 2 traits were silver it would be the perfect hunter knife and it would make using scouts (with lots of dodge) viable again. What do you think? 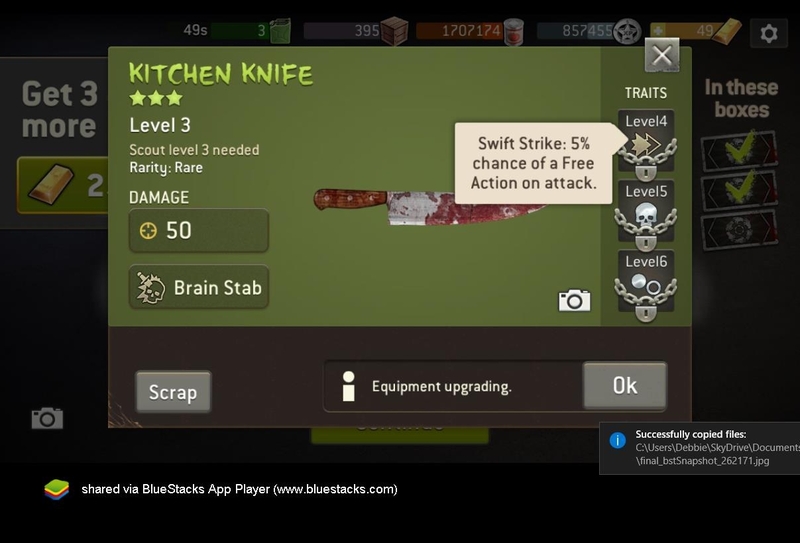 Gold Swift Strike+Gold Luck + silver Charging IMO is good, since scout charge ability not so good as shooter's and bruiser's. 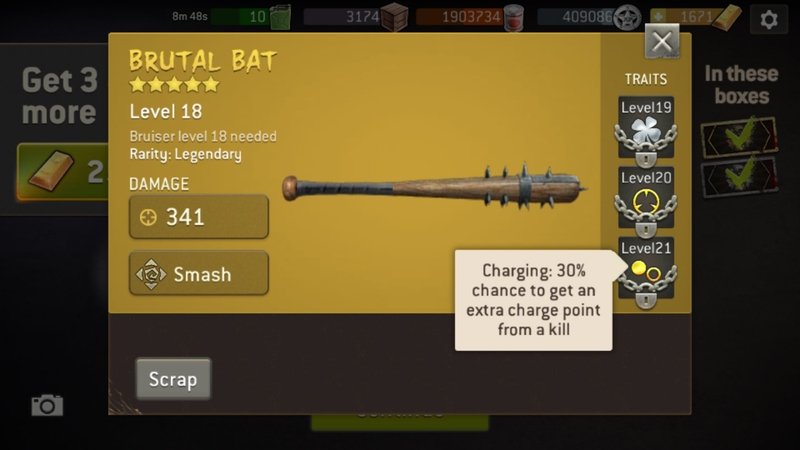 But I still don't use scout and bruisers, so my bat is last to upgrade. @prodj, I am sorry but I dont know how to change the title of the thread, but if I could change the title, I would. I am also most grateful for your thoughtful and illuminating comments. The new traits are foreign territory to many players in my guild, so we are benefitting from your experiences. Also, my thanks go out to @masmith93 , @DarkFae , and @Conan1976 ! I know you don't have to share your knowledge, and I really appreciate your help. NP. I feel like I did more learning than teaching but I'm glad something I said helped someone. Thanks @Japes87 ! 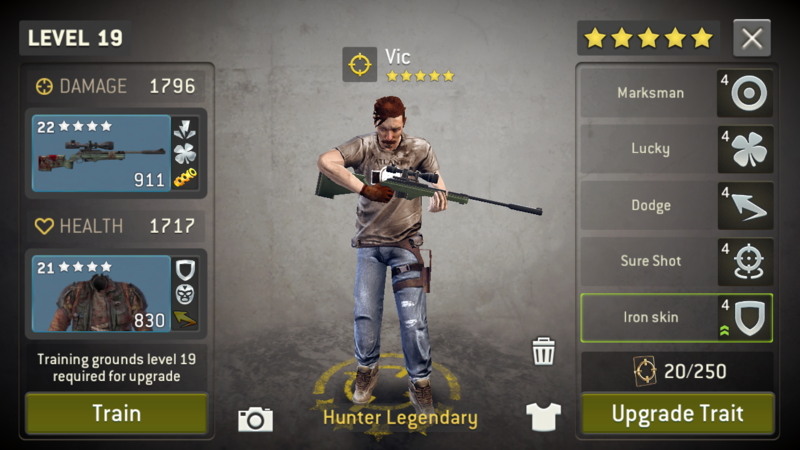 I love your gear and your survivor. I am soooo jealous. @Japes87 [email protected] nice gun. Hi @Japes87 ! I would really appreciate it if you could share your intel on luck possibly stacking with silencer and charge. 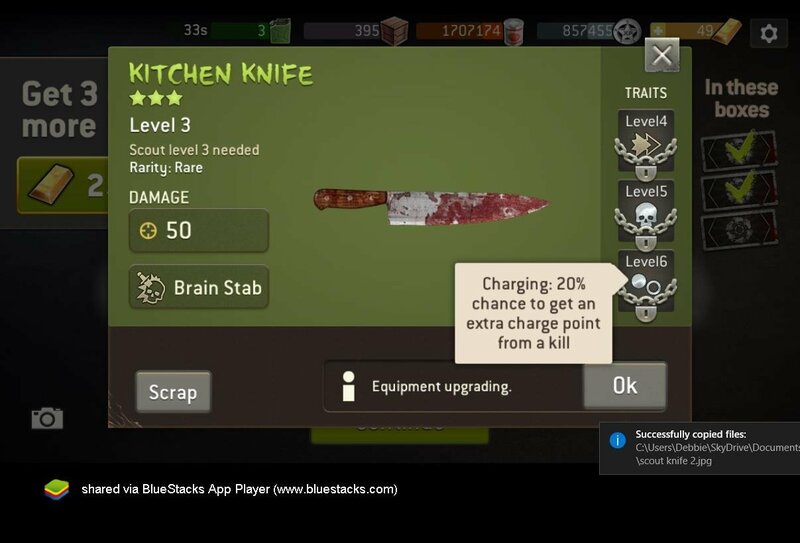 Players need as much intel as is possible to decide which traits to prioritize when upgrading.